The YMCA of Burlington and Camden Counties’ 6th Annual Wine & Food Classic continues on Friday, Nov. 6 at Aloft Mt. Laurel located at 558 Fellowship Road in Mt Laurel. Guests will enjoy more than 700 hand-selected premium wines from around the world and exquisite cuisine prepared by South Jersey’s finest chefs. Delicious cuisine will be provided by The Madison, Marlton Tavern, Silver Diner, Sweet Lucy’s Smokehouse, Robin’s Nest Restaurant, Classic Cake, Starbucks and more. The Wine and Food Classic benefits the Y’s Annual Campaign — the biggest fundraising initiative of the year that provides services to children and families in Burlington and Camden counties regardless of their ability to pay. Events like the Wine and Food Classic will help the Y reach its $2 million annual campaign goal. Sponsors for this year’s event include Canal’s Bottlestop (Route 70 Marlton), Big Sky Enterprises, Boomerang, Brown & Brown Consulting, Burlington Press, DeYoung Financial Group, Hutchinson Mechanical Services, SJ Magazine, TD Bank, The Kennedy Companies and Wolf Commercial Real Estate. Regular admission tickets are $100 per person or $75 for YMCA of Burlington & Camden Counties members. Doors open at 6:30 p.m. A limited number of VIP Reception tickets are available, which begins at 5 p.m. and features premium wine and menu selections. VIP Reception tickets are $175 per person or $150 for YMCA of Burlington & Camden Counties and include admission to the event. Tickets are available at ymca-bc.org. 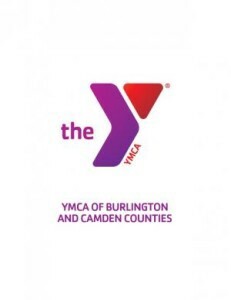 For questions regarding member pricing, sponsorships and advertising opportunities, please contact Jen Segelken, Development Director, at (856) 231–9622 x243 or jens@ymca-bc.org.